When you’re traveling, it can be easy to get distracted with the sights and sounds around you. However, while you’re distracted, you’re an easy target for thieves and scammers. Luckily, a little bit of preparation can help you keep yourself and your money safe so you can enjoy your travels! These are some of our top tips for protecting your finances while you’re traveling. You can end up the victim of a scam before you even leave your house. Be wary of websites or phone calls that offer you free or discounted travel deals. 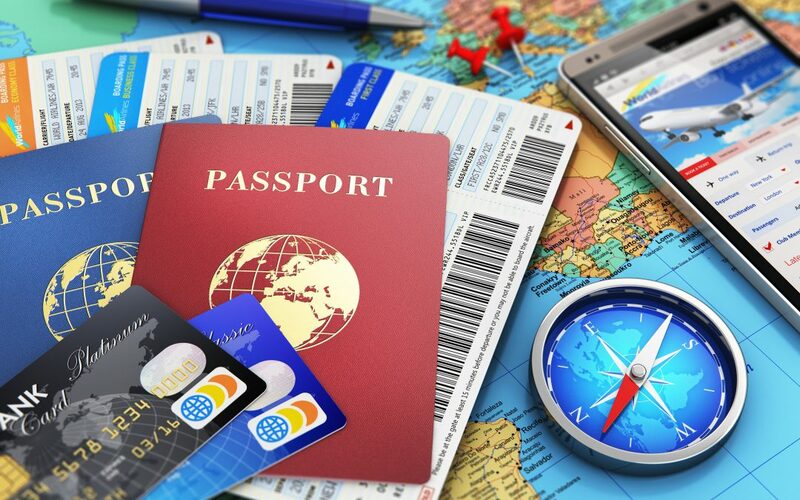 Booking through reputable sites or travel agents can help you avoid these scams. Be aware of common travel scams such as currency exchange deals, taxi scams, or people giving “gifts”. When you head out for the day, only carry as much cash as you’ll expect to spend, plus some extra for emergencies. Use a debit or credit card for any large purchases, and keep them in separate places. Don’t carry any non-essential cards with you, or important documents like your Social Insurance Number card or birth certificate. When you’re taking out money, make sure it’s from a major local bank that you’re familiar with. Try to take out money inside the facility instead of outside. Check for signs of tampering, like loose connections where you insert your card. Protect your PIN by covering it up when you’re inputting the numbers and checking to see if anyone is watching you while you take out your cash. Before you leave on your trip, take photos or make copies of your documents and email them to yourself. Include your debit and credit cards, passport, visas, and emergency contact information in the email. In the event that your documents are stolen, you’ll still have everything you need if you can get internet access. Before you leave, make sure to call your bank and let them know where you’ll be going and when. The more they know about your trip, the better they’ll be able to catch fraud attempts. At American Verification Processing Solutions, we offer customized payment solutions for your business. Contact us through our website or call 1 (800) 719-9198 to get started.